Auto Recycling: How Much Of Your Car Is Reused? You might be riding on reused parts — and that’s great for the planet. Many of us have seen what happens what your car gets scrapped. It’s hoisted up by a car baler and crushed into a cube, destined to live out its days in a scrapyard. 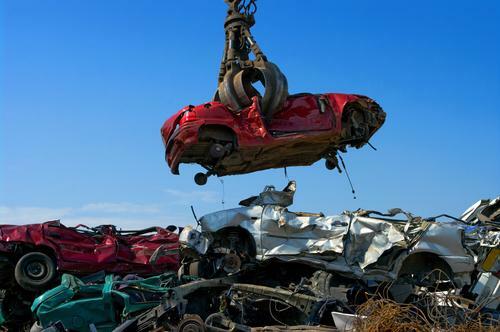 But did you know that by law in the European Union, at least 95% of a scrapped car must be recycled? The minimum level of recyclability rose from 85% in January 2015, but regulations will continue to tighten. Cars that are ready for the junk heap still have many useful components. In the EU, vehicles weighing up to 3.5 tons must be scrapped and disposed in an environmentally friendly way, according to the End of Life Vehicles Directive. This is carried out by authorised treatment facilities (ATFs). ATS are auto recyclers who are able to deal with oil, batteries, and other potentially unsafe parts in the process. Once the ATFs have removed hazardous materials, a Certificate of Destruction (CoD) is issued, and the car moves through a series of recycling machines. The car is shredded using specialist equipment and split into smaller pieces that fall onto a conveyor belt below, ready for the next recycling phase. The conveyor belt passes the smaller parts under a series of magnets in order to pick up the steel. Cars are made up of around 70% steel, so this step in the process pulls out the majority of material. Vacuums then pick up any lighter materials left behind — for example, rubber and fabrics that are recycled using newly developed methods. The steel is recycled: according to the Steel Recycling Institute, the steel industry recycles more than 18 million tons of steel from scrapped cars each year. Any leftover heavy materials are then collected and separated. Aluminium, copper, and other metals are recycled appropriately, whereas any plastics left go through another recycling process called plastic polymers. This involves reverting the plastics back down to pure plastic pellets which can then be used to make new molds. This step is an important one in modern times as 10% of modern cars use up to 20 different plastics. Finally, any lighter materials that were retrieved in the vacuum process — rubber, fabrics, and foams — are turned into gas. The latest in recycling equipment technology enables this to happen through specialist gasification methods. The modern car recycling process is complex and requires equipment that extracts almost every scrap of metal, plastic, and gas from an unusable car. In the end, that means that manufacturers need fewer raw materials to produce the goods we use every day — and fewer cars rusting in junk yards. Contributed by Matthew Kong. If you'd like to write for Green Future, check out our submission guidelines here. 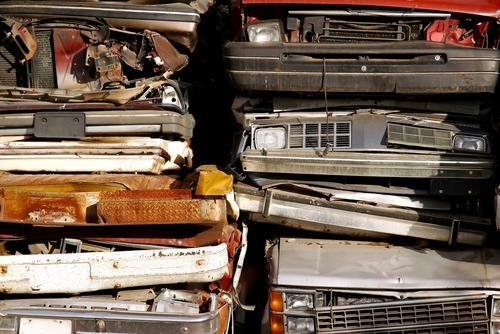 "By law in the European Union, at least 95% of a scrapped car must be recycled."